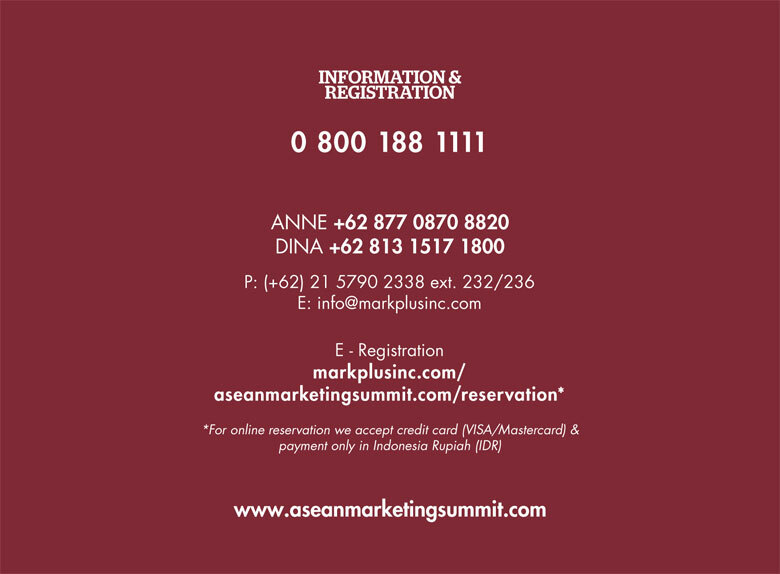 In conjunction with the 50th anniversary of ASEAN, MarkPlus, in collaboration with Philip Kotler Center for ASEAN Marketing would organize the 3rd Annual ASEAN Marketing Summit 2017 in Jakarta. 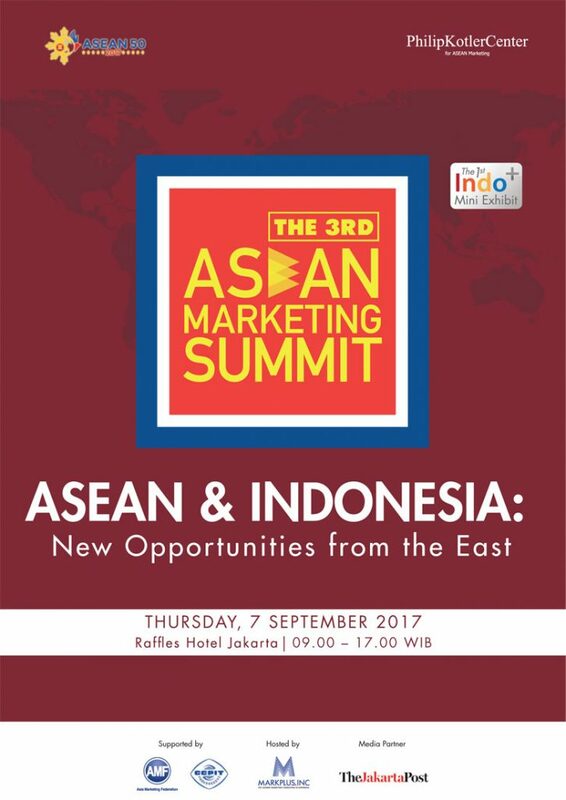 This is going to be a one-day event, in its 3rd year, is hosted by PKCAM and MarkPlus to bring together distinguished experts and industry commentators from business and marketing arenas to discuss the most pressing issues facing ASEAN as a region today, especially with the onset of the ASEAN Economic Community (AEC). 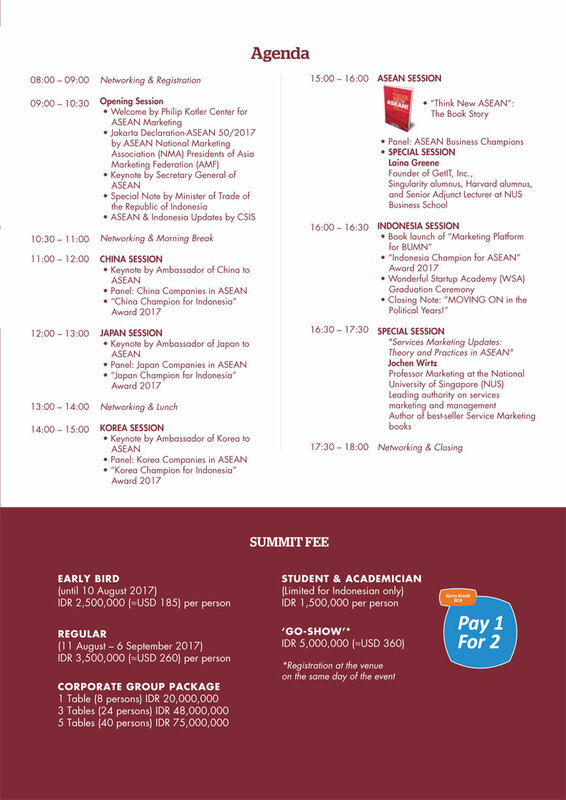 In the previous summits we have had the pleasure of hosting several renowned keynote speakers such as Prof. Philip Kotler (Kellogg Graduate School of Management), with whom MarkPlus have had the unique opportunity of co-authoring several best-selling international books, and Prof. Tan Kee Giap (Asia Competitiveness Institute, National University of Singapore). 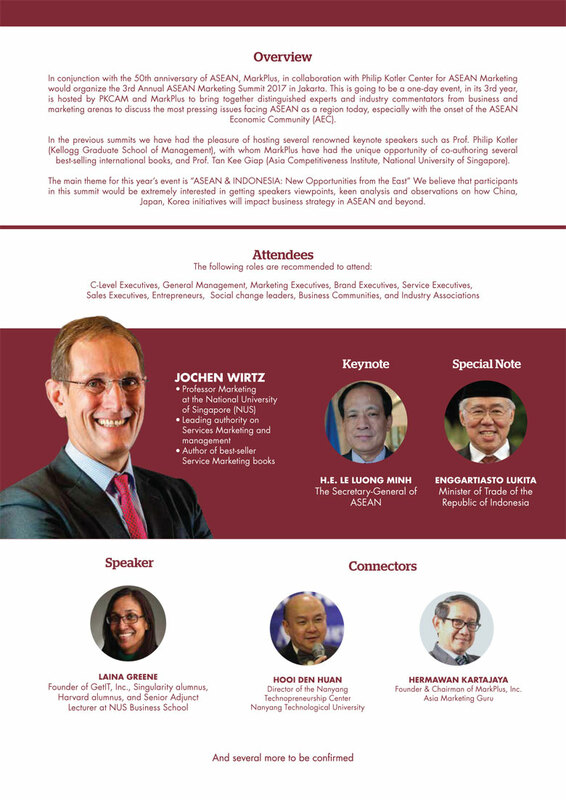 The main theme for this year’s event is “ASEAN & INDONESIA: New Opportunities from the East” We believe that participants in this summit would be extremely interested in getting speakers viewpoints, keen analysis and observations on how China, Japan, Korea initiatives will impact business strategy in ASEAN and beyond.